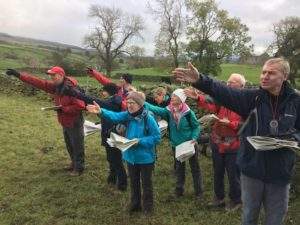 1 day map reading course in the beautiful Yorkshire Dales with mountain leader Mark Reid, author of ‘The Inn Way’ guidebooks. 9am – Meet at Swinton Bivouac and start the day with a tea or coffee at the Bistro Cafe. Discuss the day ahead, plan the route, review the weather and learn the key map skills. 10.30am-5pm – Enjoy a full day’s map, compass and navigation training in the Yorkshire Dales. The walk will usually cover around 5 or 6 miles over the course of the day, with plenty of rest stops and time to practice skills and ask questions. 5pm – End with a de-brief at the Bistro Cafe. Only £55 per person. No previous experience required, all participants must provide their own packed lunch and walking boots.